There are something's that you just cannot do without in your shack and the first essential item for me is my AVAIR AV-601 VSWR meter. Well this year has gone so fast, and this hobby only really took off for me in January 2010 and I have got so heavily involved. when my wife asked me what I would like for Christmas she knew I would be asking for something related to Radio somehow... I asked for a MiniVNA. 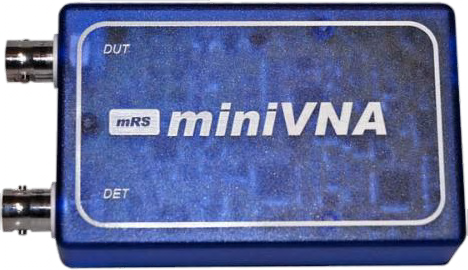 The MiniVNA is a tiny antenna analyser working from 0.1 to 180Mhz. It is connected to the computer with just one USB cable with power being supplied over the USB port. The MiniVNA allows you to quickly analyse any antenna within the 0.1 to 180MHz range and view all parameters in real time. 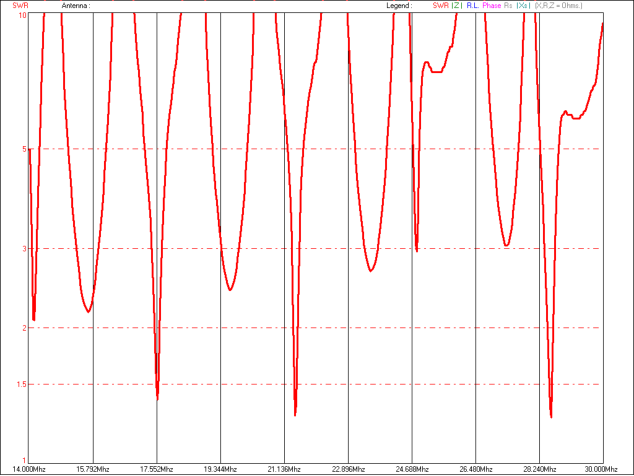 You can see at a glance where the antenna is resonant, what the SWR is and what the return loss is. The best (minimal) SWR frequency is automatically found and displayed. Two markers can be freely placed within the shown frequency range and measure impedance [Z], resistance [R], phase [ω] as well as and values at these points. 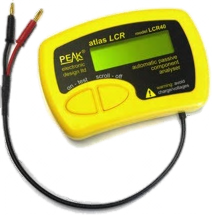 The Atlas LCR 40 is an advanced instrument that greatly simplifies the testing of passive components. Traditional LCR bridges are inherently complex and very time consuming to use. The LCR 40 does everything automatically, it tells you the component type in addition to component value data. What’s more, the LCR 40 automatically selects the best signal level and frequency for the particular component under test. Just clip the universal test leads to your component and press the test button. In seconds, the LCR 40 will identifies the type of component (Inductor, Capacitor or Resistor) together with the component’s main value. Additionally, further component data is also displayed, such as the DC resistance of an inductor. The test frequency is automatically selected to suit the component under test and this is also confirmed on the scrollable display. 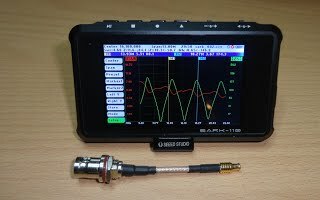 It’s a brilliant device to help will circuit and antenna design. I cannot explain in a few words what this little box of tricks can do, but you can find out more by clicking on the picture. I am sure you will be amazed, my wife bought me one for my birthday and I am sure it will be in full time use on my ever growing antenna projects. My VK5ARC antenna analyser that I built for my intermediate project has now moved on to another amateur who will I am sure get many years of service out of it. 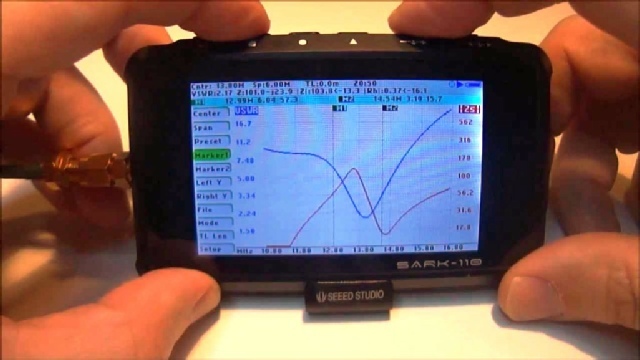 Once I get used to the nuances of the Sark 110 I will most probably sell my Mini VNA which has proven to be a priceless piece of test equipment when tuning Cobwebb antennas etc.